With the eyes and ears of the world focused on the FIFA World Cup this summer, the spotlight is on Russia to deliver a tournament to remember. RMJM is playing in a key role in ensuring that the hundreds of thousands of visitors to the country have the best possible first impression. 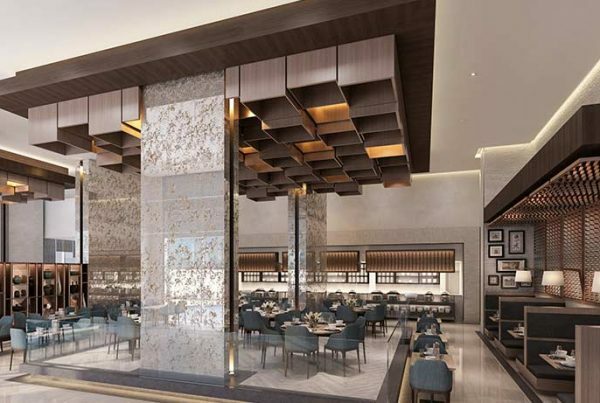 Those arriving at Sheremetyevo International Airport Northern Complex this summer will be instantly immersed in the stunning designs of RMJM Serbia. Praised by visitors and critics alike, this project is an homage to the incredibly rich and keenly Russian Constructivist movement, and artists Lyubov Popova and Varvara Stepanova in particular. A quick visit to the magnificent Moscow International Business Centre will reveal one of RMJM’s, and the world’s, most iconic modern skyscrapers, the Evolution Tower. 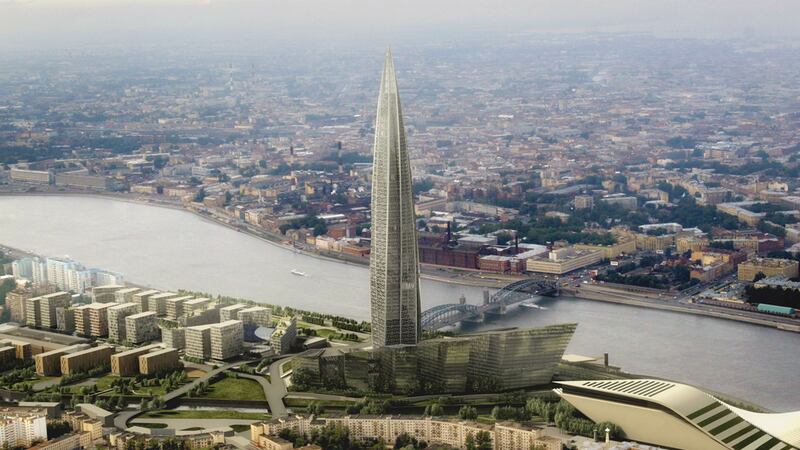 Those venturing further into Russia will certainly not miss Europe’s tallest building, the Lakhta Centre, located in St Petersburg, another RMJM design. RMJM’s latest design for Sheremetyevo Airport, the busiest airport in Russia, symbolises the company’s commitment to providing world-class design in Russia. Building on this, RMJM has recently expanded its presence in the country to be even closer to its clients and become increasingly dynamic in what is one of the most captivating and exciting markets today. Currently in the process of opening a new studio in Russia, RMJM has an established presence on the ground. RMJM Serbia CEO, Goran Nikolic, who is fluent in Russian and has a wide experience working in the country, is leading the creation and growth of the newly established team in Russia. His portfolio in the country includes, of course, Sheremetyevo International Airport Terminals B, C1, C2 and the two inter-terminal stations. The opening of a new office in Russia is an important milestone in RMJM’s history but the company is far from new to Russia. With over 20 years of experience in Russia, RMJM has worked alongside local experts on some of the most iconic projects to have been erected in the 21st century. By allying international expertise with knowledge and insight towards local traditions and customs, projects such as the newly completed headquarters and business centre of the Russian gas giant Gazprom at Lakhta, and the Evolution Tower, originally known as City Palace Tower, were built. Not coming to fruition but equally indicative of this fond relationship with the country are the Ekaterinburg Tower schemes. 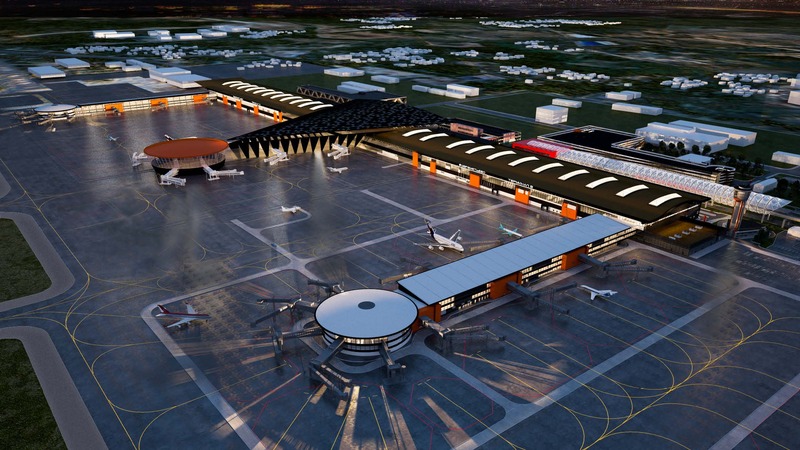 Two more RMJM-designed projects illustrate the unique strength of our network are expected to be built in the future: the Hyatt in Vladivostok, which has seen its completion delayed, and Terminal 2 at Domodedovo Airport in Moscow which is due for completion in 2018 and will exponentially increase the airport passenger capacity. RMJM’s first project on Russian shores, the joint design of the initial development concept for the new museum with the design bureau of State Hermitage in 1994, started what would prove to be one of the longest relationships between an international architecture firm and Russia. RMJM would go on to open its Moscow headquarters and St. Petersburg office a year after. These Russia-based RMJM offices engaged in several important projects throughout the country. In Moscow, City Palace, a major initiative by the Russian capital to create a central business district on a former industrial zone, three miles from the Kremlin, and the Snegiri Eco Luxury Residential Development project are two glittering examples of work done by RMJM. The City Palace, known for its memorable organic form was designed in collaboration with Scottish artist Karen Forbes and has become one of the most emblematic towers of Moscow International Business Center’s skyline. The latter project is a luxury lakeside residential and leisure development in a scenic area of Moscow City. The client’s overall aim for this project was to provide the highest quality luxury residences in the city of Moscow. 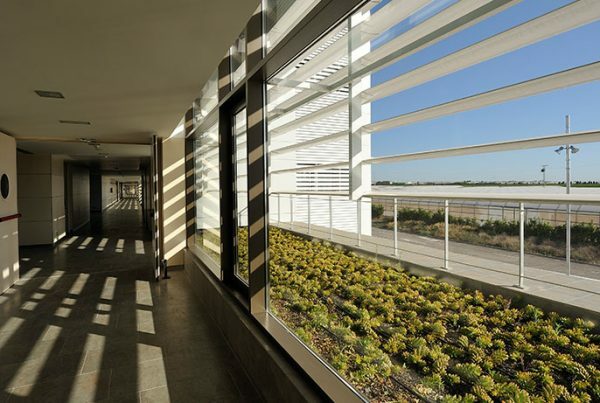 The RMJM team embraced the landscape as the inspiration behind the design of the development masterplan and buildings. The scheme created an oasis of calm in the form of a series of positive outdoor spaces with varying degrees of privacy, ranging from private to semi-public to public shared gardens. 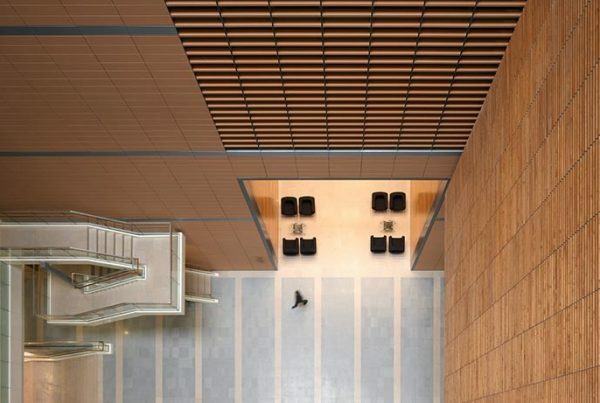 The project was honoured an ARX Award in 2007 for ‘Best Tall Building’. In the same year, RMJM was commissioned to design the masterplan concept for a 1 million m2 mixed-use development on Khodynka field in Moscow named Avia Park. 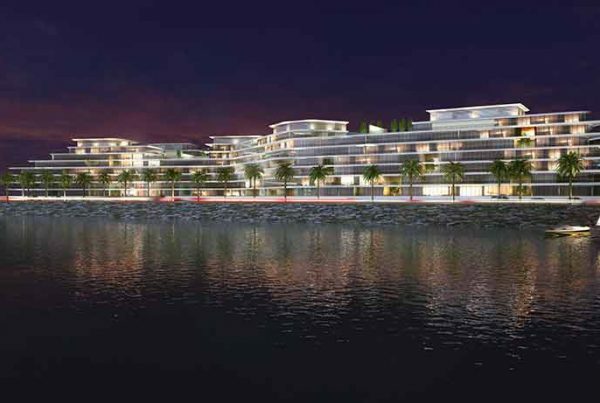 The park includes a large shopping mall, hotels, offices, parking and residential space. The architectural solution was inspired by its space and aviation theme and is reminiscent of a high-tech, futuristic landing station. In what proved to be an extremely busy and exciting period for the firm, RMJM also prepared a remarkable proposal for the so-called Rublevo Residence. The client’s objective for this project was to create a unique residential complex on an exclusive, heavily forested site in the Moscow suburbs. The site’s distinctive conditions allowed the team to cultivate two different architectural atmospheres. The riverside townhouses have an extrovert character and are organized to take advantage of the spectacular Moscow river panoramas, while the Forest View Townhouses and Villas are organized to take advantage of the beautiful internal views and places luxury detached villas in private walled gardens gathered around a beautiful shared amenity space. 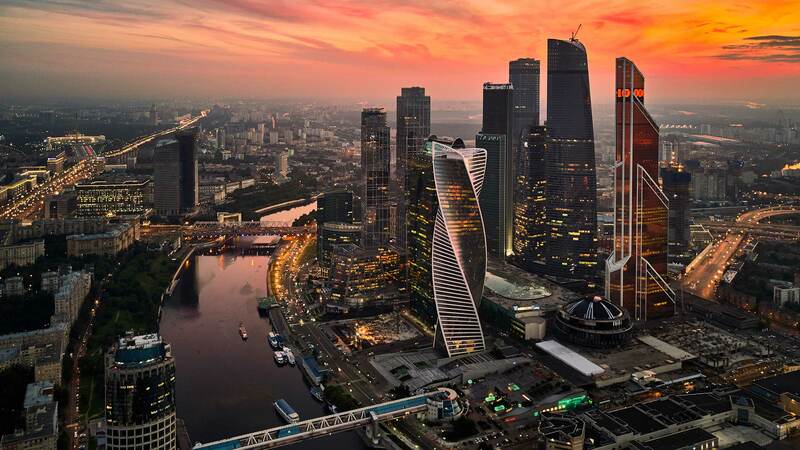 For all the high-profile work RMJM has developed in the capital city, the practice is also very well represented in St. Petersburg with the “White Nights” Business Center and the much-discussed Lakhta Centre which includes the new headquarters of Gazprom. This building is the natural evolution of the RMJM concept previously proposed for the Okhta site, a design inspired entirely by the city of St Petersburg with its baroque architecture and water filled canals, with the changing form of water to ice, from soft organic free-form to angular crystalline geometry. Now the highest building in Europe, the Lakhta Centre has received praised for its environmental track record and one-of-a-kind design. RMJM’s impactful design however, found its way far beyond western Russia, in areas often neglected by other firms in the market and international players fearful of dedicating their time and efforts beyond well-known locations. In the so-called Russian Riviera, in Sochi, RMJM worked on an Apart-Hotel development comprising 27 stories and 137 units. The apartment hotel’s situation on the shoreline affords its guests stunning views out to the Black Sea. Every aspect of the Russian Riviera capitalizes upon its location. The structure’s unusual design incorporates it into its very form in drawing on the themes of the sea; its undulant detailing reflects the ripples of the water below, while its prow-like form recalls a ship’s elegance and romance. It didn’t take long for Siberia too to appear on RMJM’s radar and in 2005 a commission to design a high-rise office block in the central district of Novosibirsk (Sovetskaya St.) would arise. The 29-story, 120m tall tower was to be occupied by a Class-A business center with car parking and retail in the podium part and feature the first media wall façade in Siberia. The Novosibirsk Office Tower, which included the landscaping of the public piazza with water features and a monument of a Russian rocket scientist was expected to become one of the first skyscrapers in Siberia once completed. Since then, RMJM also worked in neighbouring nations Azerbaijan, Kazakhstan, and Belarus on projects such as the master planning concept of Minsk, one of the largest urban projects in the CIS, and the Technopark of Novosibirsk Akademgorodok. As Russia and the countries of the Commonwealth of Independent States moved forward economically, new social and economic conditions started demanding a shift from traditional natural resource-oriented industries to innovative knowledge-based economies. This reinvention called for the emergence of informed architectural design and infrastructural planning offered by innovative practices such as RMJM. As the result of dedication, extraordinary cultural sensitivity and innovation, RMJM has not only built an impressive body of work in Russia but also continues striving to make a difference and pave the way for establishing a solid presence in the future development of the country. With the prospect of opening a new office in the country, there will be the opportunity to solidify the trust of Russian clients and foster deeper relationships that may lead to new, groundbreaking projects. As Goran Nikolic and his team have proved in the past couple years on projects such as the Sheremetyevo Terminals, the talent and workforce required are already in place. RMJM sees this as the ideal opportunity to stand side-by-side with Russia and contribute to the creation of a new architecture that goes beyond the mere desire to impress or make headlines, but an architecture which actually adds value to the country itself.